Here at Chatrium Residence Sathon Bangkok, we create fun and interactive programs for your child to explore during your stay for FREE. We intermingle entertainment and activities with learning experiences, and fill theirdays with interesting knowledge to share with new friends. Movie Time – What would be more fun than watching movies with your kids? It’s a movie time on Monday at our Kid’s Playground. Take them out of the room and enjoy the movies exclusively prepared for them. Painting – Let your kids express their creativity and have fun with an open mind. Kids will learn and experiment with colors and express themselves more deeply through their art and their words. Every Tuesday is a painting time! Work Sheet – Your kids will experience an ideal learning tool which will help them organize their thoughts effectively. We offer fun and exciting worksheets for kids. Simply join us on Wednesday and see how much fun your kids will have! 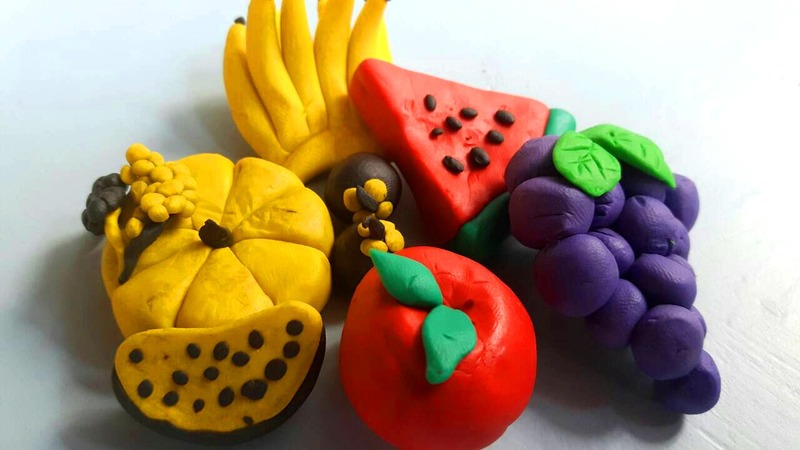 Molding Clay – This fun activity allows kids the opportunity to create using their imaginations and creativity by molding clay. They might have never seen this before, but they will surely be so happy with it. S ee you every Thursday. 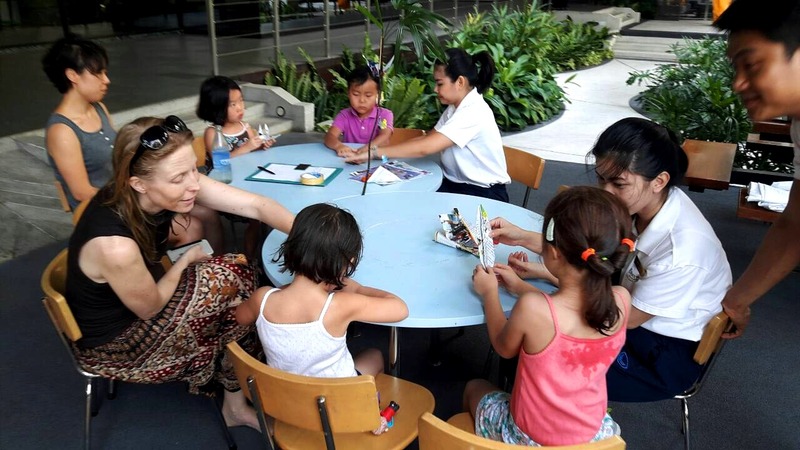 Origami – An activity giving parents a chance to sit down with kids and interact while creating something from a piece of paper on Friday. They will always remember the joy of folding origami here. 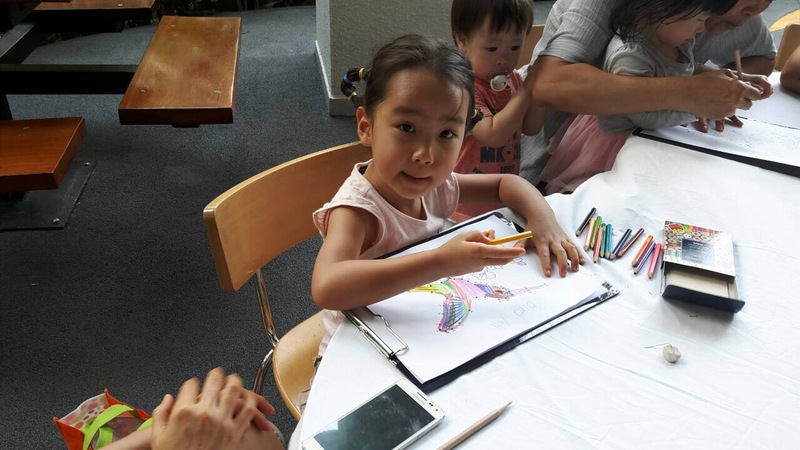 Drawing – If you think it’s a good idea to teach your kids how to draw independently, don’t hesitate to join us on Saturday. Of course! That would be their enjoyable experiences. 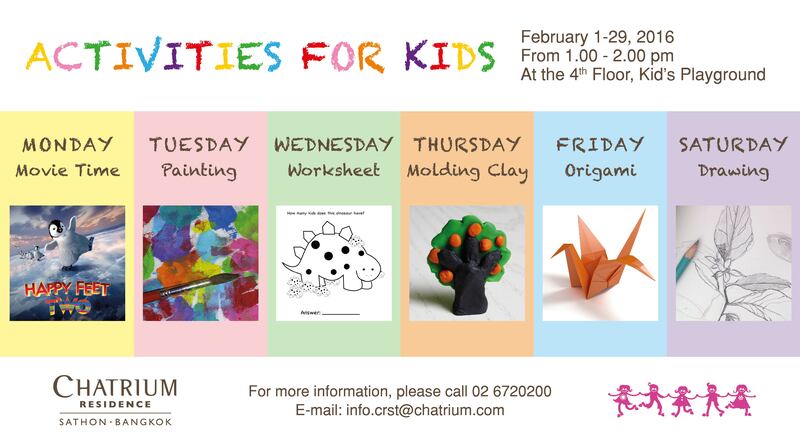 Activities for kids start from 1.00 p.m. to 2.00 p.m. every Monday to Saturday throughout February at the 4th Floor, Kid’s Playground. Advanced registration at Front Desk is required prior to arrival.